The Land of brave warriors is in India. 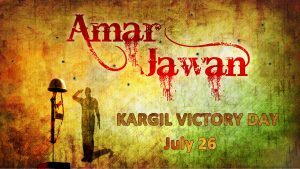 Kargil Vijay Diwas 2017 is celebrated on 26th July (Wednesday). Prime Minister Narendra Modi honoured Kargil martyrs through a series of tweets,” Remembering our brave soldiers who fought gallantly for the pride of our nation and the security of our citizens during the Kargil war”. 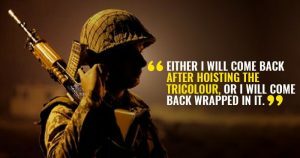 On this particular day share latest Kargil Vijay Diwas Inspiring Quotes with your friends. This Victory of diwas is celebrated all across the India. Why is Kargil Vijay Diwas Celebrated? On 26 July 1999, India successfully took command of the great outposts which had been lost to Pakistani intruders. 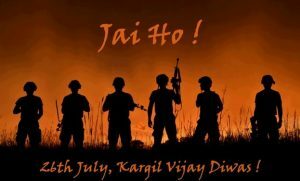 Kargil Vijay Diwas is being celebrated in India to commemorate the victory in the Kargil Was against Pakistan and honour the heroes. The Kargil conflicts in the mountains of Jammu and Kashmir Ladakh region tool place after Pakistan troops occupied Indian posts on the heights. The war was fought for more than 60 days and ended on July 26. 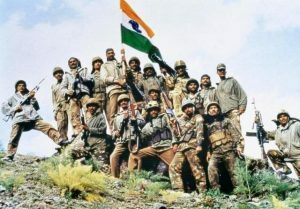 Modi said that Kargil Vijay Diwas reminds, “ India’s military prowess and the great sacrifices our armed forces make while steadfastly keeping India Safe”. The Defence Minister Arun Jaitley, Indian Air Force Chief Marshal Birender Singh Dhanoa, Indian Army Chief Bipin Rawat and Chief of the Naval Staff Admiral Sunil Lanba paid tributes to all the soldiers who lost lives in Kargil War. India is celebrating 18th Kargil Vijay Diwas 2017. On this day Indian Armed Forces declared victory over Pakistani. Here are few latest Images for Kargil Vijay Diwas to share in Whatsapp and Fb. 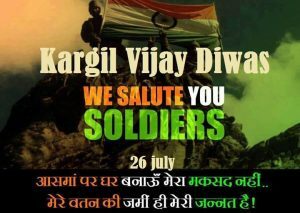 On 26th July every year in honour of Kargil heroes we remember all the soldiers. 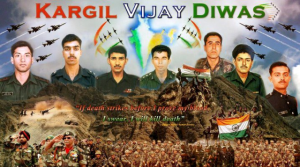 Check the Kargil Vijay Diwas Speech from this web page. This operation was declared closed on July 26, 1999 by PM Atal Bihari Vajpayee. The protected will never know!!! 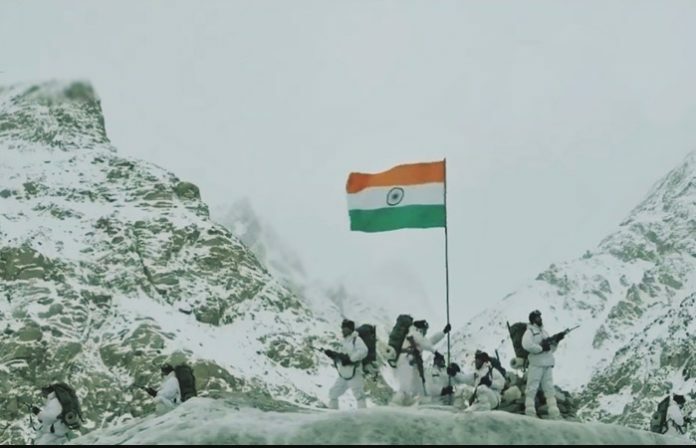 Kargil ki parvat choti dushman tha vahan unchai per. 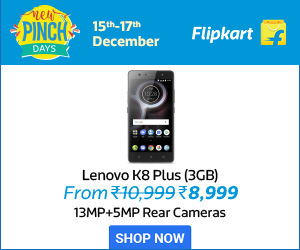 Chori se ghus aya bujdil tha utara vah neechai per.